Ayuredic Head Massage is an ancient art based on a traditional system of medicine known as Ayurveda, which has been practiced in India for over three thousand years. This form of massage addresses those areas where we hold a great deal of tension. • Encourages deeper breathing and deep relaxation, very enjoyable and triggers the release of "feel good" chemicals called endorphins creating an almosteuphoric sensation of contentment and happiness. Our AromaTouch treatment is an effective very light touch treatment using 100% pure certified therapeutic grade essential oils/oil blends on the back, neck, earlobe and feet. 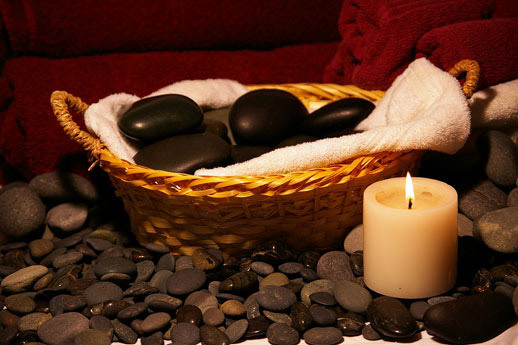 This treatment will provide a deep sense of relaxation, balance and overall well-being. AromaTouch helps stress-related disorders, headaches, anxiety, strengthens the immune system, reduces inflammation and centres the body, mind and spirit.